As part of the social organization of the Union of Russian Muslimas was established the Committee of Soldiers' Mothers. As part of the social organization of the Union of Russian Muslimas was established the Committee of Soldiers' Mothers. The main purpose of the committee is to protect the rights of Muslim recruits and their families, RIA Novosti reports. The chairman of the Union - Nailya Ziganshina, said that it is the first organization of muslim women, aimed to help soldiers. According to her, the newly created Committee will be engaged in the issue of ensuring the minimum conditions for Muslim soldiers, such as to provide the opportunity to perform religious rites (perform prayers (salat), fasting, etc. ), and the allowed Muslim food (halal). Kadriya Aisina will be appointed as a head of the committee.The Committee will work with the assistance of the Council of Russian Muftis and regional myftiyats. In addition, the Union of Muslim women in the process of establishing other departments, such as Board of mentors, Center for the creation and maintenance of the family, the Job Center, Center for Legal Protection, Crisis Center, Educational Center, mental and spiritual healing, the Center of charity, the Association of Muslim designers, education and outreach center. The public organization "Russian Union of Muslim Women" was certificated by the Ministry of Justice in February. The main objective of the Union is to develop the traditional values of Islam and rendering assistance to Muslim women in employment and solving family problems. The Union has more than 50 branches and representative offices in different regions. 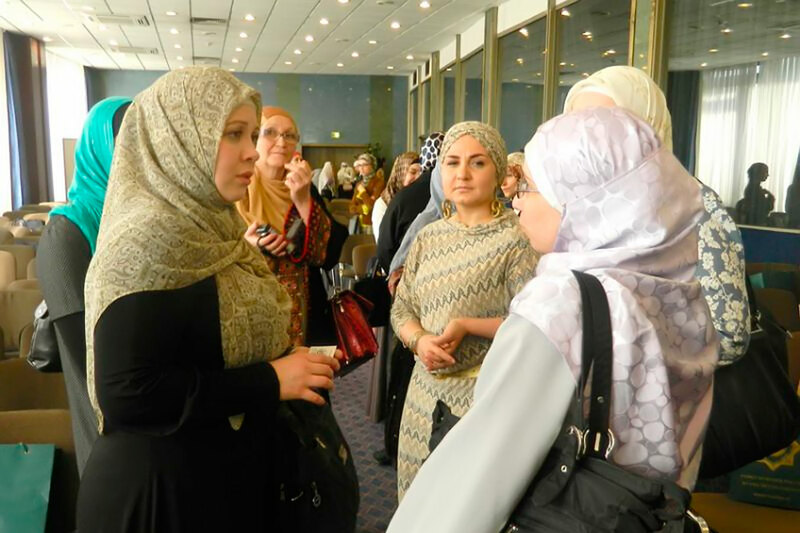 First Muslim women's conference held in Sverdlovsk region.